If we have never told you before (and shame on us if we haven't) but, we L-O-V-E Nashville. 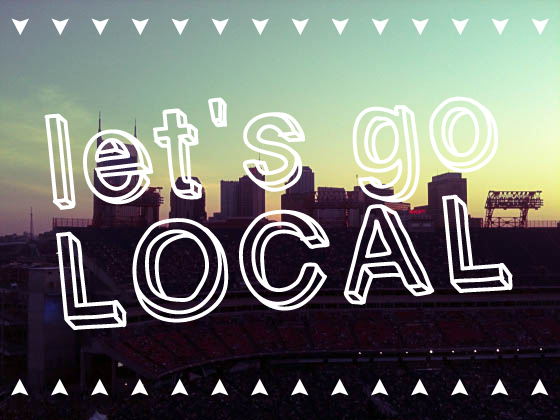 We've been toying with ideas of how to share our Nashville with all you peeps on the internet. Nashville is a very tourist-y town and people come visit constantly and there are some very obvious things to do. But, we have decided to dedicate part of this blog to letting you know all the cool and hard to find things, tourist-y and local, that you can do when you make the trip here. I guess we will start with three free things you can this weekend. Well, and today. Thursday is almost the weekend, right? 1. 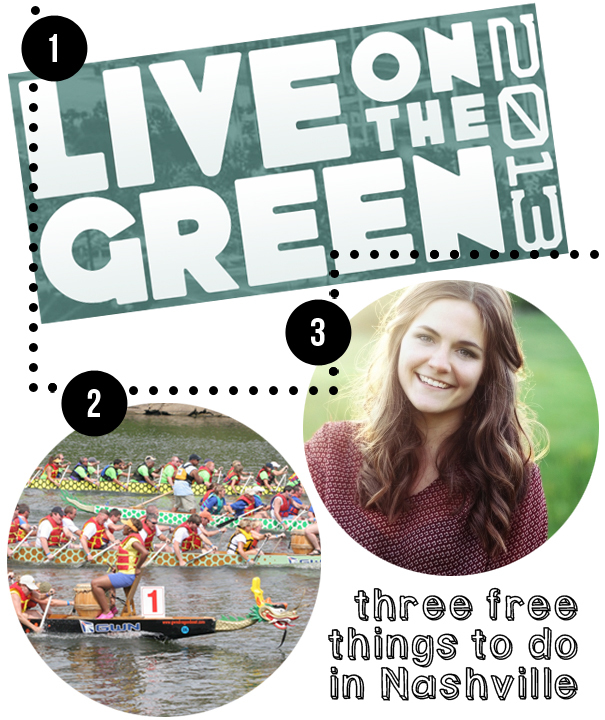 Live on the Green- You've never gone? Well, you should go! There are only two shows left, tonight and next Thursday. 2. Cumberland River Dragon Boat Festival- Do I really need to say anything else? This Saturday 8AM-3PM, DO. IT. 3. Music at the Frist- Art AND music (by Erin Rae), 6-8 PM tomorrow night.